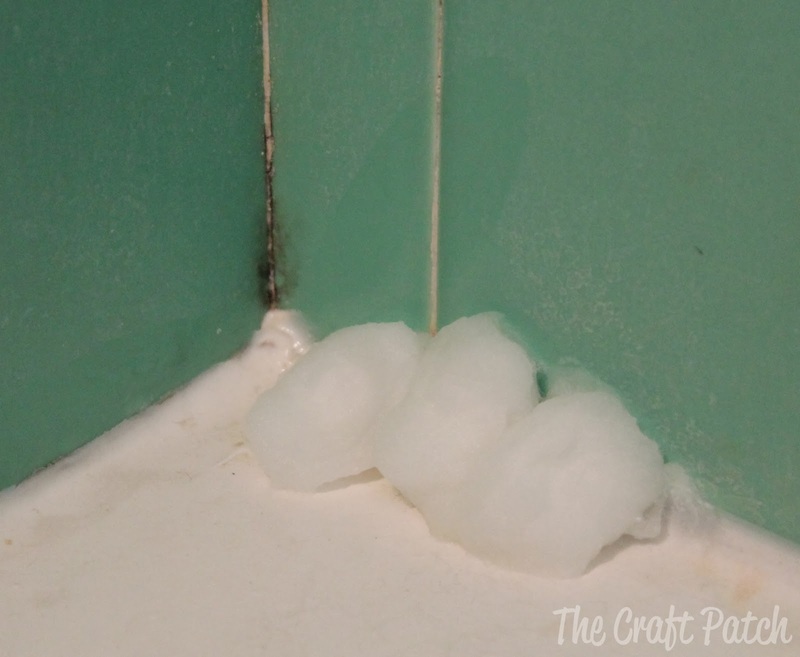 I remembered seeing THIS PIN on how to banish mold forever. Maybe you’ve seen it too? I decided to test it out, for your sake and mine. The instructions say to use cotton beauty coils that you have to buy at a beauty supply store. That sounded like an extra trip to the store and a waste of money, so I got out my good old-fashioned cotton balls instead. 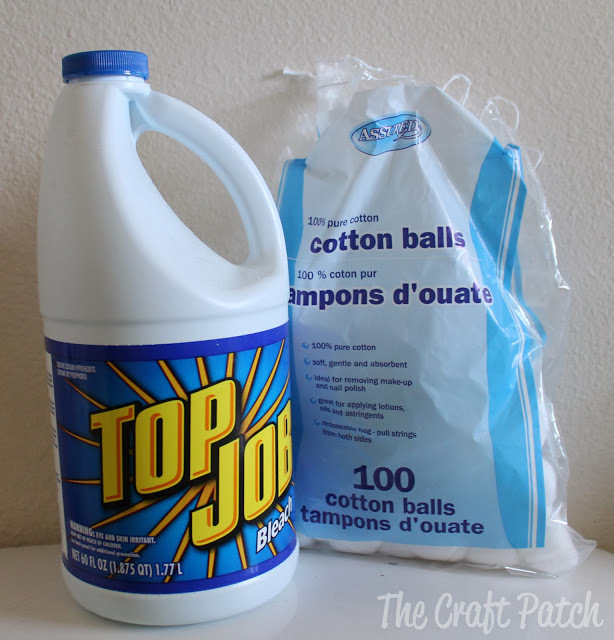 Soak the cotton with bleach, then press them up against the mold spots. Hot diggity dog! I have to say I was pretty shocked when I removed the cotton. 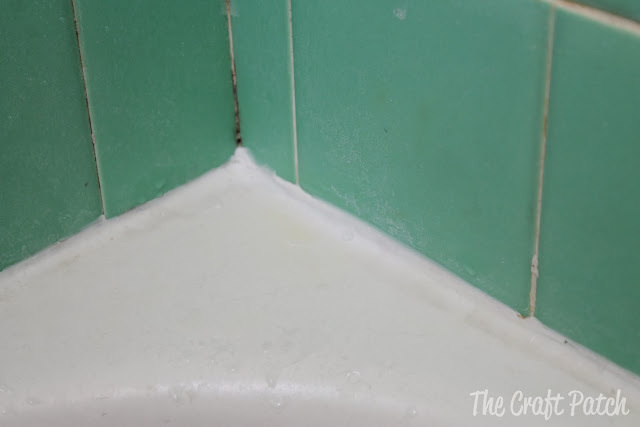 I couldn’t believe how sparkly clean that grout was! Not even a hint of mold! Woohoo! Now to tackle every inch of dark matter in that old grout! Since this test was so successful, I decided to try the same method on my toilet. Read all about it HERE. I'm glad you tried this method too. I did several months ago. I used the coiled cotton purchased at a beauty supply store. It was long and stuck so well to the edges. Hurray for us and our grout mold removing! 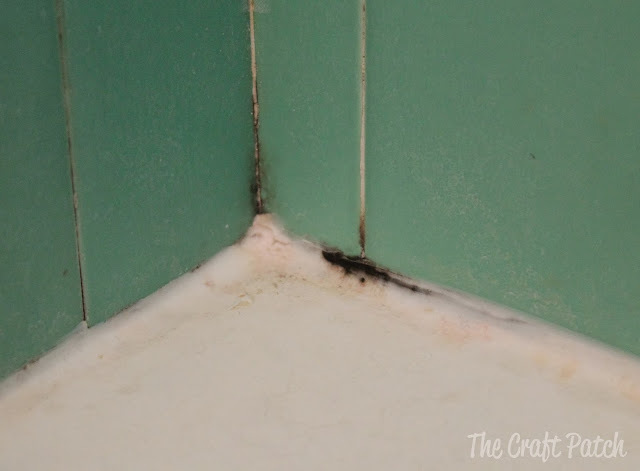 Do you see any damage to the grout or tiles? I wonder if you could use masking tape to hold a cotton ball onto the spot. Seems like that would work. I put bleach in a spray bottle. Spray the whole shower down and then next morning, it looks great! But thanks for the cotton ball trick. Be careful though, I had bleach eat right through a spray bottle many years ago, ruined the table I had it sitting on. What about the silicone type grout? 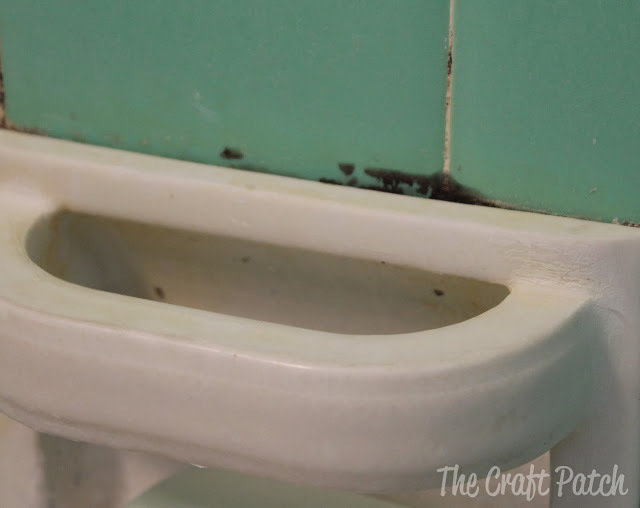 I've always read to never use bleach on any type of grout as it does damage over time. How long have you been doing this and have you noticed any deterioration? That is a good question. 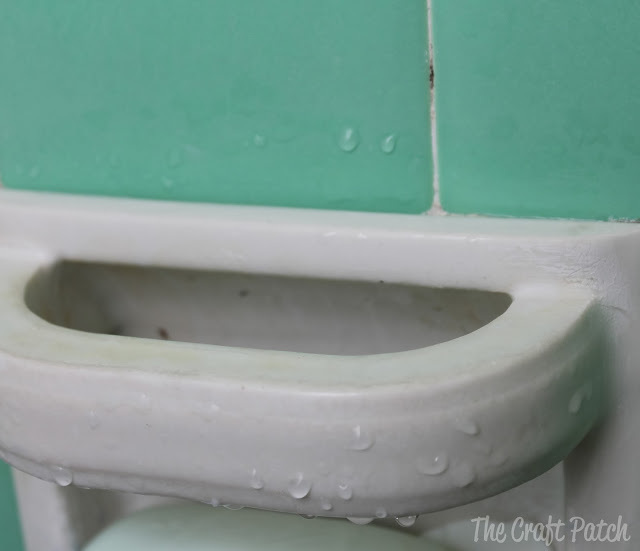 I haven't noticed any problems with my grout and I have a mix of sandy-type grout and silicone. 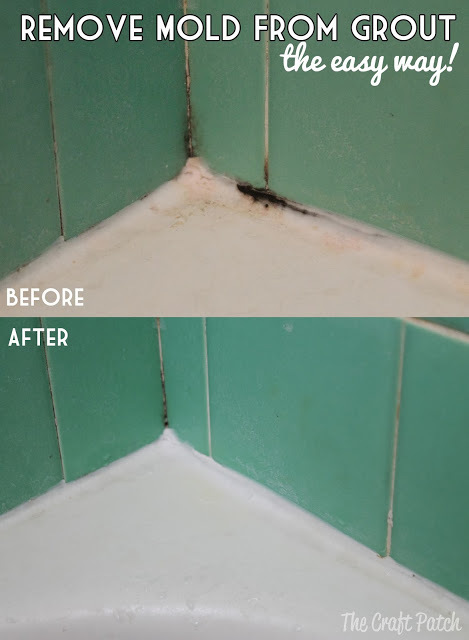 I figure that clean grout is better than moldy grout, even if it means that you have to replace it every few years. I don't know. I guess it's up to you. Clorox makes a bleach gel pen. 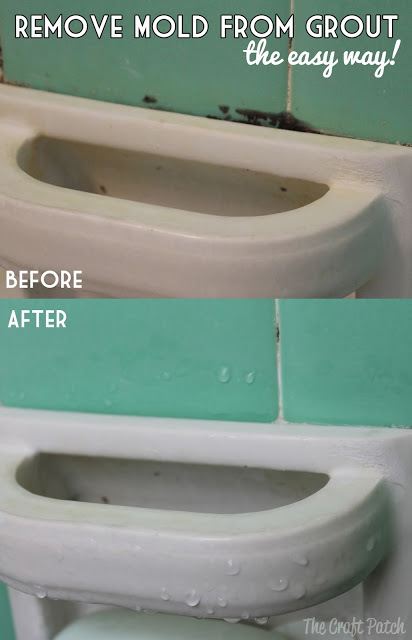 It works perfect for basically "drawing" over all the lines of grout in your tub/shower. You can basically outline all the tiles. Let it sit ( the gel stays in place) for a few hours or over night and then wash right off. Ive been doing it for years. Unfortunately it doesn't work on the mold that seeps under the clear sealer at the bottom of my tub and shower. Looks like I'm going to have to redo it. 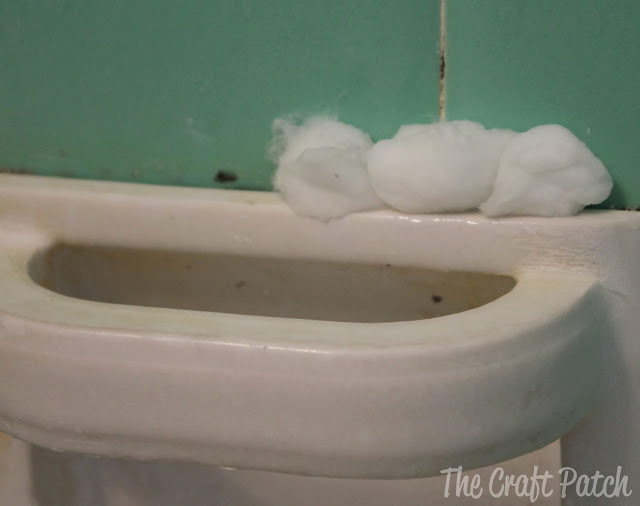 Forget the cotton balls. Just fill a spray bottle w bleach and water. Spray. Wait. mold disappears. Voila! I think the cotton balls just help keep the bleach from all dripping down the tub. You want it to stay concentrated on the moldy spots! I hope this works – I'd tried something like this, but not overnight before. Thanks!! I saw something similar in South Korea. The bathrooms are designed for the cleaner in mind. Everything is tiled top to bottom with the toilet, sink and a showerhead attached to a hose hung on the wall all in one room. Literally everything is sprayed with what smelled like a pretty high concentrate of bleach and then rinsed with the showerhead. You wear bath shoes in the bathroom because 90% of the time it's wet in that room. But on the second day we came back to the room early (before the cleaning lady had finished) and there was toilet paper randomly stuck on the walls and around the edge of the sink completely sopping wet and smelling of bleach. I've always had this problem spot under the faucet that just needs extra time with the bleach on it. So as soon as I got home I put a square of toilet paper over the spot sprayed to saturate with bleach mix, when the square dry it peeled right off and was perfectly sparkly. For harder to stick places it works great! Ah, this is awesome! Thank you for sharing! Tried it. Great results!!! Thanks for the tip!